Sounds a bit like Lost with the front section and the Tailies. But it’s something that could work to build the world of A Quiet Place. Now we will get to see events as they unfold from a completely different perspective. So rather than just tell the same story with the same characters, we will get to see what has happened with new characters and a fresh story. Because these new characters could have a very different approach to things than the Abbotts. When a film is as big of a hit as A Quiet Place, there is no doubt that a studio would pursue a sequel. The first grossed over $213.2 million on a $17 million budget. It follows other low-budget thrillers like Get Out and IT, both films which earned respectable acolytes and are box office hits. As plans to develop the sequel are now in motion, it is unclear who will direct. Deadline says Krasinski is not confirmed to direct. Which makes sense considering that he is currently working on the Amazon’s Jack Ryan show. 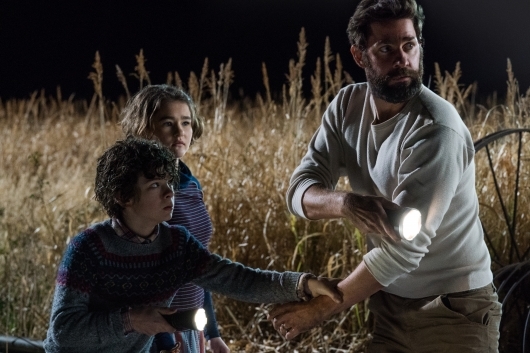 Paramount has scheduled the A Quiet Place sequel for a May 15, 2020, release.